The email concluded by stating that the “lead/campus pastors will continue to lead the day-to-day ministry of the church” and asked for peoples’ support. The full text of the email is below. As I wrote last week, Harvest leaders and MacDonald have consistently lied and deceived, so I join those who are skeptical about this announcement. Given all that’s occurred, including a baseless lawsuit for which Harvest has still not apologized, what’s required now is not a “peacemaking process,” but confession, repentance, and resignations. There can be no true peace without it. · The selection of a team of experienced and highly respected conciliators and organizational consultants who will guide us through an objective and comprehensive review process. · Reaching out to individuals who have left our fellowship or have complaints against us, listening carefully to their insights and correction, and asking God to enable us to confess our sins and make needed changes in our leadership. · Thoroughly examining our church’s organizational, financial, management, and leadership policies and practices, and making whatever changes are necessary to ensure that every area is being managed according to professional best practices and in a way that honors God. “For a long time I have felt unequal to all but the preaching task at Harvest. I have battled cycles of injustice, hurt, anger, and fear which have wounded others without cause. 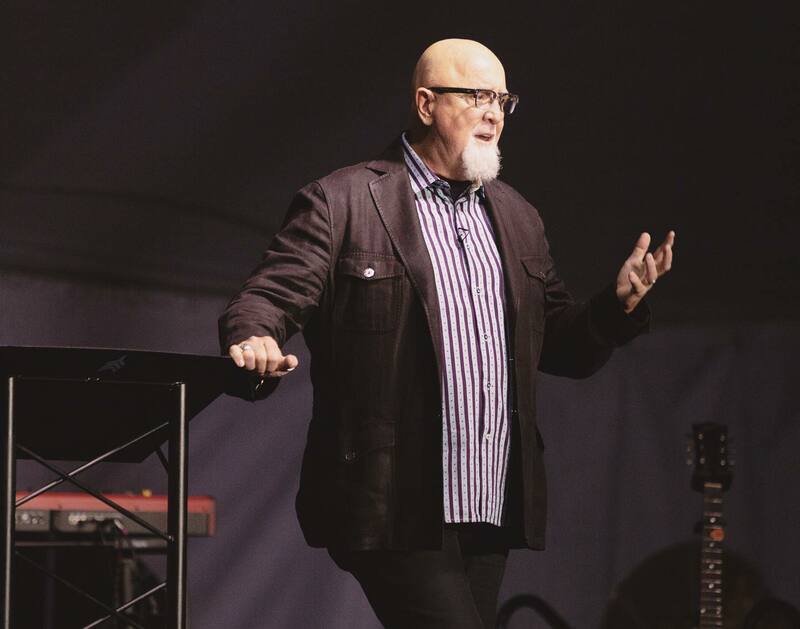 I see no mention of James MacDonald being stripped of the power he currently has and as most know MacDonald has a lot of official power. I imagine as MacDonald continues to have this power then many (especially paid staff) will be reluctant to speak out against MacDonald or even bring up important issues that need to addressed. Who is going to take away his power; it isn’t the XLT, EC or Elders. Here is who can take away his power the congregation with their tithes. Read this statement from the email to the members: Thoroughly examining our church’s organizational, financial, management, and leadership policies and practices, and making whatever changes are necessary to ensure that every area is being managed according to professional best practices and in a way that honors God. The elders approved all the changes that gave JMac all the power. Isn’t it crazy that the elder board doesn’t even see a complete budget. Not in a pie chart but line by line expenses. Who would want to be associated with being on HBC elder board? Great example to your sons James!! Well, the new upset in Naples certainly convinces me that peacemaking is intended….. Thank you, Julie for your intense research, your hard work, and for lending your voice, no matter the cost. My husband was on staff at a HB church plant 40 mins away. Our former pastor is very close with JM and modeled his ministry after his, unfortunately. The culture was spiritually abusive and the last straw was a phone call to me from the pastor’s wife demanding that I attend at 7:00 am Bible Study every Saturday morning or my husband’s job was on the line. What in the world?! I could go on and on. We evertually left and moved far away, keeping silent (after unsuccessfully reaching out to a couple of elders, of course). The shunning was unbearable. THANK YOU for standing up for the spiritually abused who feel silenced and shamed, even though the outcome wasn’t exactly what was hoped for, it still brings attention to a major problem in churches today. Rick donald I want to know how you have stood by James’s side for the past 30 years and said nothing. You have had the power to shed light on all this corruption yet you remained silent! I’m sorry I’m sooooo disappointed in you. I am not a lawyer. It is my understanding that if HBC and JM pursued the lawsuit, they would have been compelled to open their books in response to the allegations. That would never happen. Perhaps an attorney would be willing to comment on this? JM – You once preached on unrepentant sin. You said, “God would rather see you in hospital bed then continuing in your sin.” E.g. Bring you low to repentance. I pray you heed your own teaching and repent. God is patient but He will not be mocked. Are you blocking comments that question your reporting and disagree with your premises? Obviously the LORD has been sad for many years. Now, only prayer and forgiveness, amongst and between everyone involved, and GOD’S WORD, with direction from the Holy Spirit, will bring about a GODLY SOLUTION. As is so often the case problems like these most often start at the “top” of an organization/institution. May all of the entire group involved with the past, present and, or future of HBF pray without ceasing until the LORD informs you that GODLY changes have been instituted. My prayers, and those of tens of thousands of other GOD LOVING CHRISTIANS, are with y ou. I’m a new comer to Julie blog. In the past I listened to her on Moody and really liked her show. We need more people like her. God bless you Julie.